(3) Mounting points. Front, middle and rear of tractor for strength. 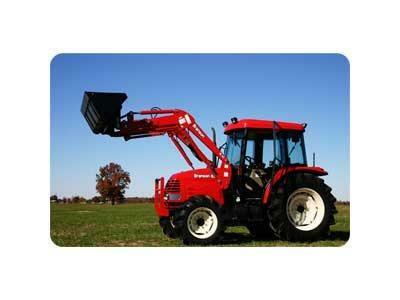 Easy Access for Servicing and Greasing Loader. Struck: 12.7 cu. ft.Heaped: 15.9 cu. ft.
Level: 103.6 in.Dumped: 81.6 in. Force at Ground Level 500 mm Forward of Pivot Pin: 4,651 lbs.